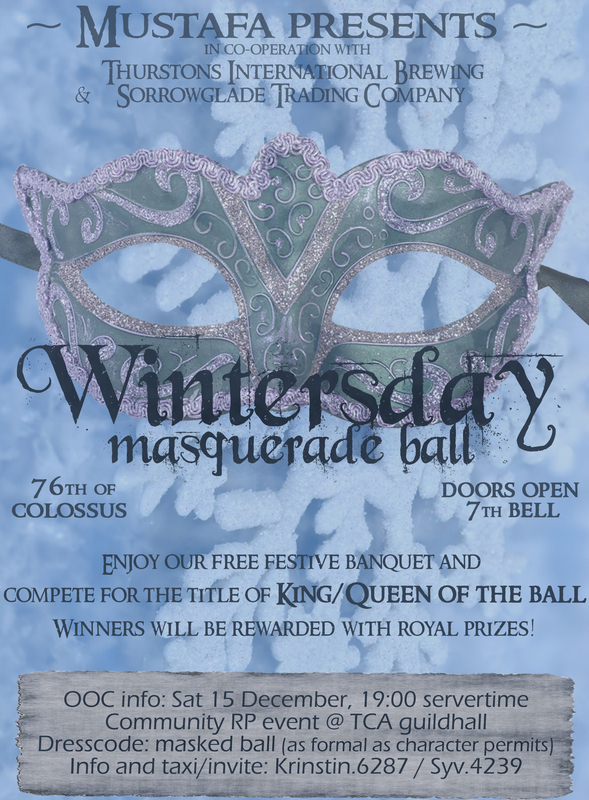 The TCAs masquerade wintersday ball is happening within 15 minutes in the TCA guildhall! Come join us for fun RPed games and celebration. /w syv.4239 or krinstin.6287 for an invite to the squad!